Megan B. 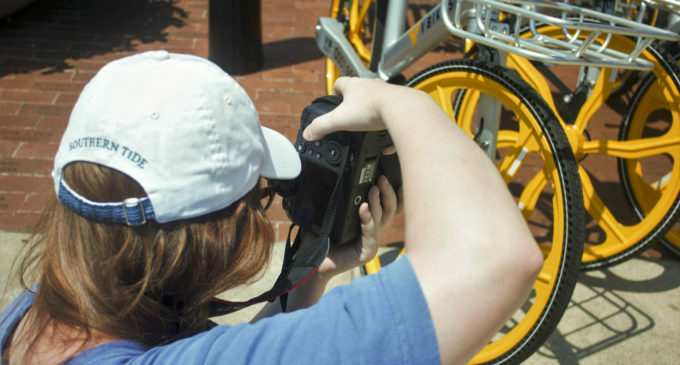 Fox captures the yellow on a bike on the Square. She enjoys taking pictures around the square, either with other photographer friends or of complete strangers. Behind every aesthetically pleasing portrait you scroll past on Instagram or Facebook, is a photographer who pours their time, money and energy into capturing that moment. 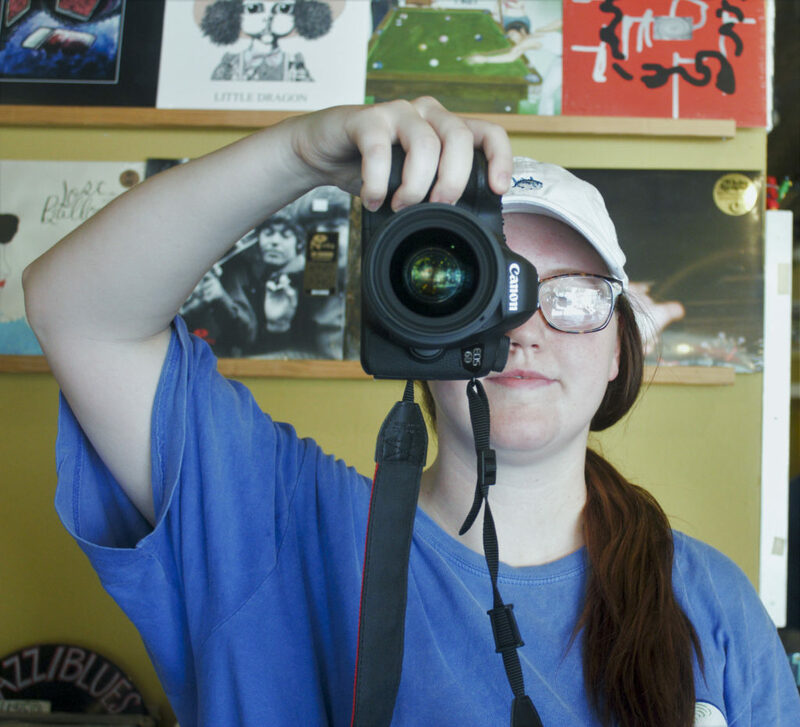 Meet three local photographers who roam the Denton streets catching the light and the faces around them. From elegant wedding ceremonies in chapels to spontaneous portrait shots against a grungy wall off the Square, these photographers each play an important role in encapsulating the unique character of the community. With her Nikon D3100 in hand, Mia Silvertooth of Stinkin’ Sweet Photography has a knack for capturing every wedding moment and memory, from engagement pictures to tearful vows at the altar. Her passion for photography stemmed from wanting to document her 2-year-old son’s life when he was first born. Though she has kept the same camera for two years, Silvertooth said the magic in photography lies in the editing process, not the equipment. Silvertooth is planning on going to school for graphic design next year, so finds her photography to be a perfect combination of all her passions. With fall being her busiest season for wedding pictures, Silvertooth has a total of seven weddings booked in only the next two months. Though weddings are her forte, she also shoots portraits of every kind, from senior pictures to newborn shots. Her biggest advice for any novice photographers is to approach any shoot with confidence, and never compare your work to others. If you were to ask Megan B. Fox, 22, if she ever considered photography growing up, she would have laughed. Although she was a dancer for about 15 years, Fox quickly became obsessed with photography after taking an art class her senior year of high school. She began taking pictures “just for fun” in college until people started to ask for senior pictures and to pay her for them. “I remember thinking, ‘I’m better at this than I thought,'” Fox said. Though her photography began with taking senior pictures and classic shots, it has since developed to a more alternative type of vision. 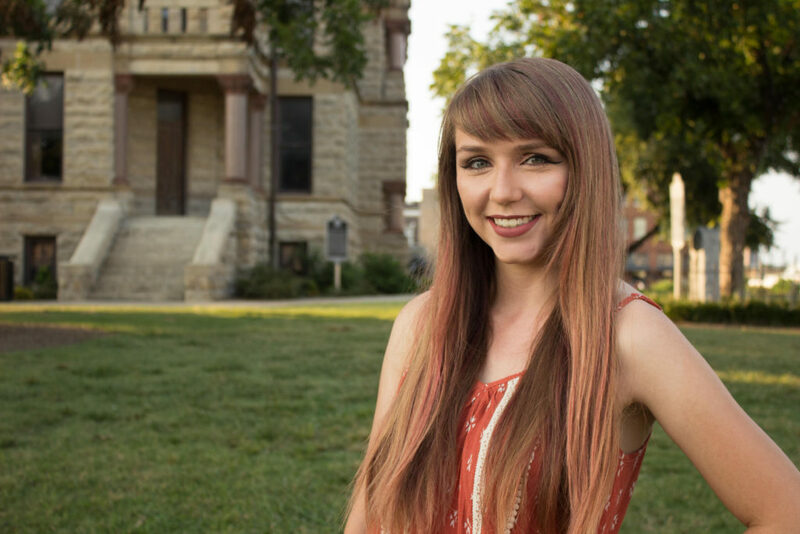 Fox’s vision fully came to life after moving to Denton a year ago, and surrounding herself in the North Texas photographer’s community. After some women decided to put together “DTX Women” to challenge the mainly masculine DTX Street photographers, Fox took a leap of faith and applied to the group. Fox and five other women make up the DTW Women team, who also accepts other form of artistry besides photography. Fox also helped start the #dentonmeetup this summer. The meetup consisted of around sixty different local photographers. Their goal was to meet around the Square and bounce off each other’s creative energies while also forming a deeper bond in the community. While giant cities like Dallas normally get the regular meetups, Fox believes it to be vital to have more of these opportunities in Denton. Many locals can be found any given summer night under a dimly lit venue head-bobbing to energetic rock. For Amanda Martinez, 22, these concerts bring a thrill unlike anything else. Though she also photographs couples portraits and group photos, Martinez’s main passion lies in capturing the passion on stage and in the audience at various venues. Her love for photography has been lifelong, from sneaking cameras into gigs to making entertaining videos with her friends growing up. When she’s not shooting concerts, Martinez likes gathering up friends and creating imaginative photoshoots. “My poor friends get called up every now and then to model for me because I get the sudden urge to do a 70’s themed shoot or make a music video for this song I like,” Martinez said. Her biggest advice to future photographers is to always go with your vision and put fear aside. Despite setbacks, Martinez is confident in her work and will not stop to achieve her dreams. Intetesting article. I’ve been on a couple of photograph excursions with Megan Fox in the Kansas City area. She has a unique eye. Maybe Hallmark will call her.